The only thing better than reading with family, is reading with family with free food, door prizes, games, and fun! 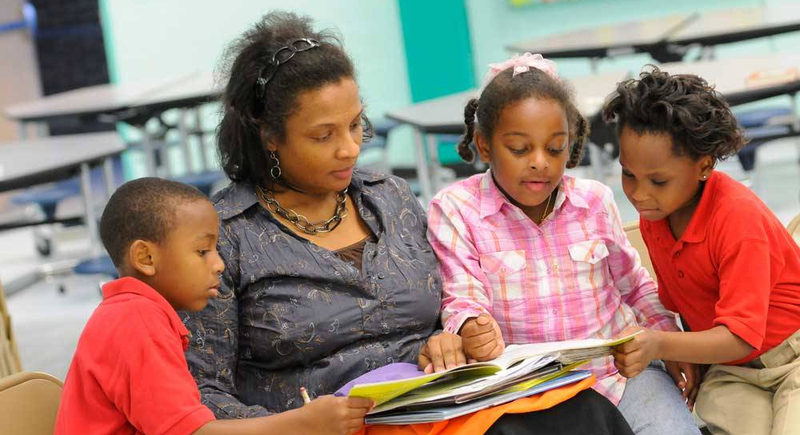 Join in the FREE Prime Time Family Reading Time Program, and find time for family! Studies show that early reading for children helps develop better reasoning skills, advanced critical thinking skills, and overall has a higher impact on student achievement. When was the last time you sat down and read with your family? Between professional work, house work, cooking dinner, and all the other chores a parent needs to do to keep the family running, it can be hard to stop and sit down with a good book. Enter the Prime Time Family Reading Time Program! For six weeks in February the Interlachen Public Library will host Prime Time which is designed to help families with children aged 6 to 10 stop and get in some time with their family. These free programs include a nutritious meal, reading time, book discussions, door prizes, and free books. For those families that have siblings below 6, child care is available. This amazing program is free and open to the public to enjoy an evening with their family without having to worry about cooking dinner. It’s been a smash hit in previous years, but as for right now this is the last year scheduled and may be your last chance to join in the fun. Space is very limited, so call or stop by Interlachen Library as soon as you can…the program is starting soon! Prime Time starts on February first and runs for six weeks on Thursdays. Exact dates listed below. The programs run from 6:00-8:00 in the evening, and include a free nutritious meal so come hungry! If you’re interested in signing up, please do so as soon as possible before space is filled up. Contact the Interlachen Library at (386) 684-1600 or stop by the library at 133 North County Road 315 across from Interlachen High School to fill out a registration form. When she's not managing the PluggedInto web page, Mischa is an archaeologist who spends her time researching history and public archaeology inbetween tending to her rescue cat Esmeralda and dreaming up unique yarns on her spinning wheel. Mischa, I just learned of this venture. This is great!